The CliniMACS CD34 Reagent System, takes advantage of the selectivity of monoclonal CD34 antibodies conjugated to magnetic particles. The CD34-positive target cells are selected in an automated separation process on the CliniMACSplus Instrument. For labeling of the CD34+ cells, the HPC, Apheresis product is incubated with the CliniMACS CD34 Reagent. After washing away the excess unbound reagent the automated selection is started. The CliniMACSplus passes the antibody-labeled suspension through a column in which strong magnetic gradients are generated. 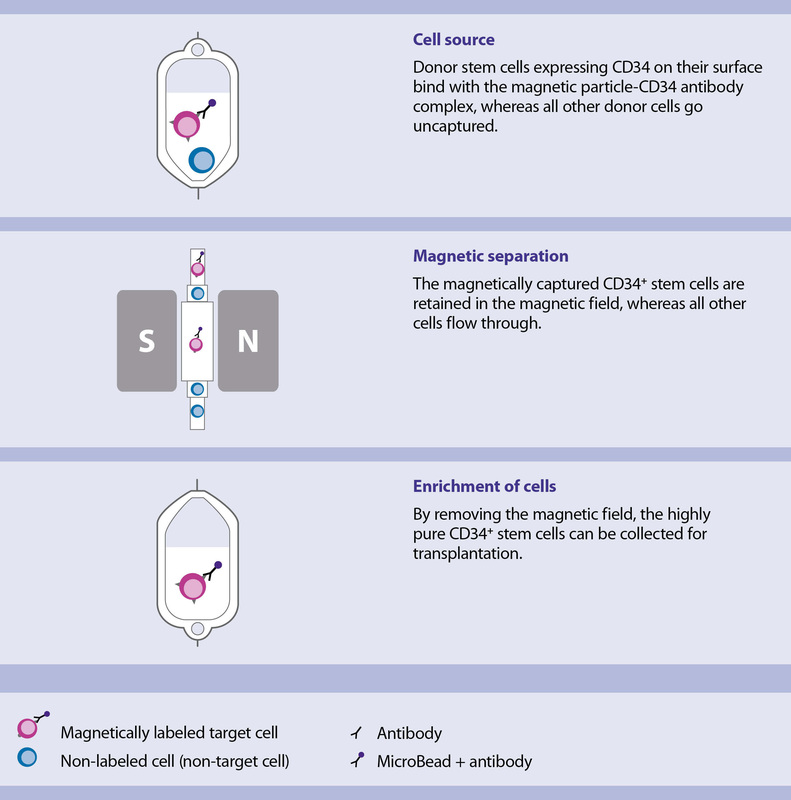 The column retains the magnetically labeled CD34+ cells while unwanted cells flow through and are collected in the negative fraction bag. The system performs several washing steps that dispose of most of the liquid into the buffer waste bag. The selected CD34+ cells are released from the column by removing the column from the magnetic field and eluting the cells into the cell collection bag. 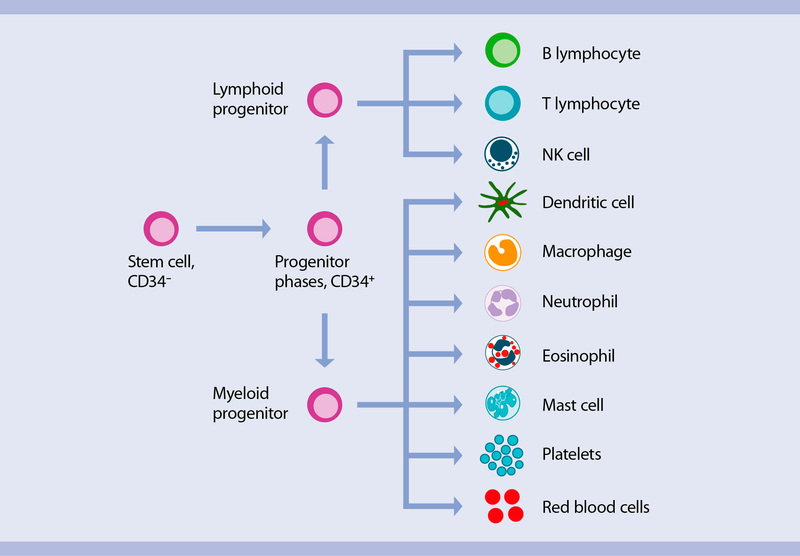 The CliniMACS® CD34 Reagent System is a medical device that enables in vitro enrichment of CD34-positive hematopoietic stem cells for graft-versus-host disease (GVHD) prophylaxis in patients with AML. References: 1. Richel DJ. et al. (2000) Bone Marrow Transplant 25: 243-249.to view an animation of the CliniMACS process.